Telepractice (AKA telemedicine, teletherapy, telehealth, telespeech, telerehabiliation, virtual speech therapy) is the delivery of health services via a telecommunications system. This service model is becoming increasingly more popular in the fields of speech-language pathology and audiology. Large factors that have driven the use of telepractice are reducing travel time for the client and/or professional and expanding the reach of services. Telepractice is becoming a more widely used and accepted method of providing speech-language pathology and audiology services. However, many families are skeptical that the services provided through a computer could be beneficial or equally as productive as those provided face-to-face. 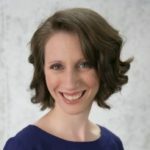 Despite family reservations, researchers (e.g., Gorgan-Johnson and colleagues) have found that children receiving virtual speech therapy do as well as those receiving services in person. Sessions can still occur in bad weather or when the speech-language pathologist (SLP) or client are sick. Individuals living in rural towns may struggle to find local in-person services for their needs. Furthermore, individuals from culturally or linguistically diverse backgrounds may struggle to find appropriate services in their area. By using telepractice, these clients are able to receive the services they deserve. Family members can have a more active involvement by assisting clients with the session activities. Clients may be more engaged during their sessions because they enjoy being on the computer. They may also feel more comfortable asking and answering questions and performing difficult tasks with the computer screen as a safety net. Speech-language pathology is a broad field. Although all SLPs receive some degree of training in all aspects of speech, language, and swallowing disorders, most specialize in certain areas over areas. For example, some SLPs may specialize in working with children with autism while others may have extensive training in treating adults who have aphasia. In addition, the majority of SLPs are monolingual and/or do not have the training to provide appropriate services to a bilingual client. Clients and SLPs can share their computer screens and upload files to enhance the therapy session. Virtual therapy sessions can be recorded (with permission) and used for later review. By recording the sessions, clients and family members can watch what occurred. Watching the recordings assists clients with practice and carryover of skills. Moreover, watching previously recorded sessions allows everyone to observe the progress that has occurred. 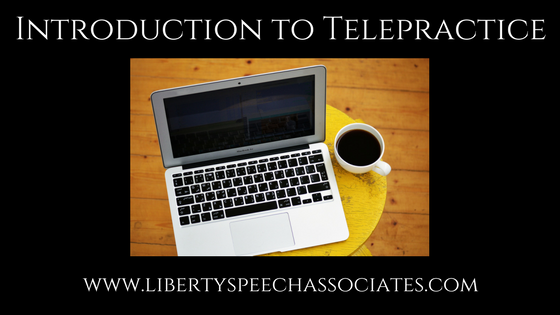 At Liberty Speech Associates LLC, we provide telepractice sessions for the following purposes: accent modification, counseling, speech-language evaluations and treatment, speech-language screenings, and collaboration with related professionals. For more information on our telepractice services, contact us today. Grogan-Johnson, S., Alvares, R., Rowan, L., & Creaghead, N. (2010). A pilot study comparing the effectiveness of speech language therapy provided by telemedicine with conventional on-site therapy. Journal of Telemedicine and Telecare, 16(3), 134–139. Grogan-Johnson, S., Gaebel, R., Taylor, J., Rowan, L. E., Alvares, R., & Schenk er, J. (2011). A pilot exploration of speech sound disorder intervention delivered by telehealth to school-age children. International Journal of Telerehabilitation, 3(1), 31–41. Grogan-Johnson, S., Schmidt, A. M., Schenker, J., Alvares, R., Rowan, L. E., & Taylor, J. (2013). A comparison of speech sound intervention delivered by telepractice and side-by-side service delivery models. Communication Disorders Quarterly, 34(4), 210–220.